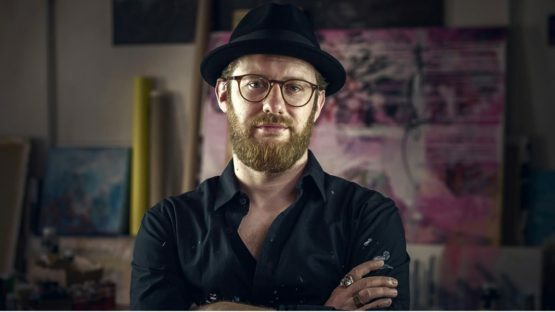 Patrick Hartl is a multitalented German artist and designer who works in a wide range of media including illustration, graffiti, calligraphy, and digital compositing. 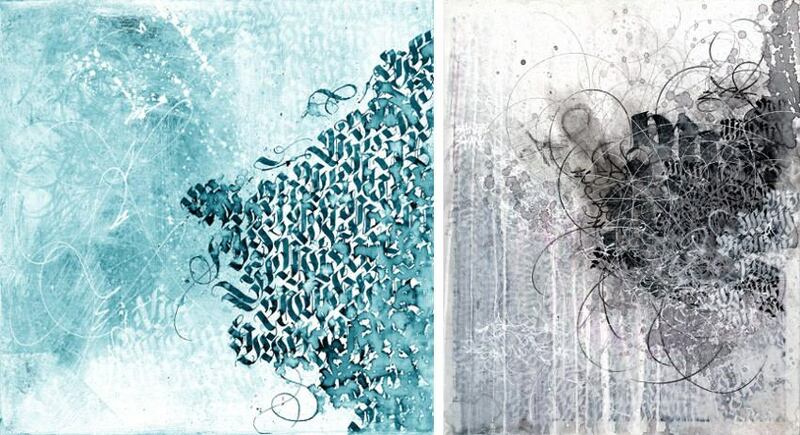 A master of handcrafted designs and analog works, and one of the foremost urban calligraphers, Hartl has been involved in making art for almost two decades, and his oeuvre has been exhibited in cities from San Francisco to Amsterdam to Munich. Amongst his artistic practice, Hartl was the editor of Castle, an online magazine about creative art, design, and illustration which has been published quarterly since 2005. Hartl started with graffiti at the age of 15, inspired by the work of a Munich writer ZROK known for pushing the boundaries of graffiti with his calligraphic style. Other influences include FLIN, Alexander Zöbisch (Starjump), Niklas Treugut, and Robert Kaltenhäuser. Beside them, he always admired the works of Futura, Delta, Zedz, SheOne, Mr Jago, Wizard Kings Crew, The Dude, Niels Shoe Meulman, and many others. Illustrators and comic book artists such as Vaughn Bodé, Frank Frazetta, Philippe Druillet, Hayao Miyazaki or Jean Giraud Moebius have always been a big influence on Hartl as well. Hartl’s art reflect his roots and inspiration: layer after layer, logos, characters, calligraphy, tags, posters overlay each other resulting in the amazing artworks. Hartl’s seemingly monochrome works, on closer inspection, turn out to be the result of a multitude of layers of paint and a colorful diversity. His favorite canvas is a ten years old wall, which has been bombed, cleaned, bombed again, crashed, washed, damaged, but which always tell a new and unique story. Some of that stories are currently on view at Only Art Club in Hamburg. Featuring works by Hartl and Robert Hoffmann, Stories from the Layer Collection will be on display until July 16th, 2016. The artist’s oeuvre has also been included in many exhibitions throughout Europe and the USA. In February 2016, Hartl’s work was on display in a solo show entitled Say My Name at Feierwerk Farbenladen in Munich. Additionally, he participated at STROKE Artfair, where his art was exhibited along the work of ten Calligraffiti Artists from all over the world. Patrick Hartl lives and works in Munich.